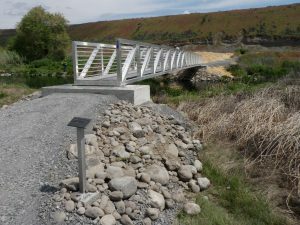 The north and south bridges have now been replaced at Rocky Ford Creek and the results are impressive. The Washington Department of Fish and Wildlife, (WDFW), has really done an outstanding job with this project and should be commended. 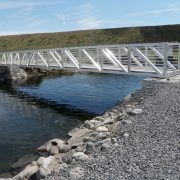 The access routes to both bridges are safe and the bridges are both attractive and functional. 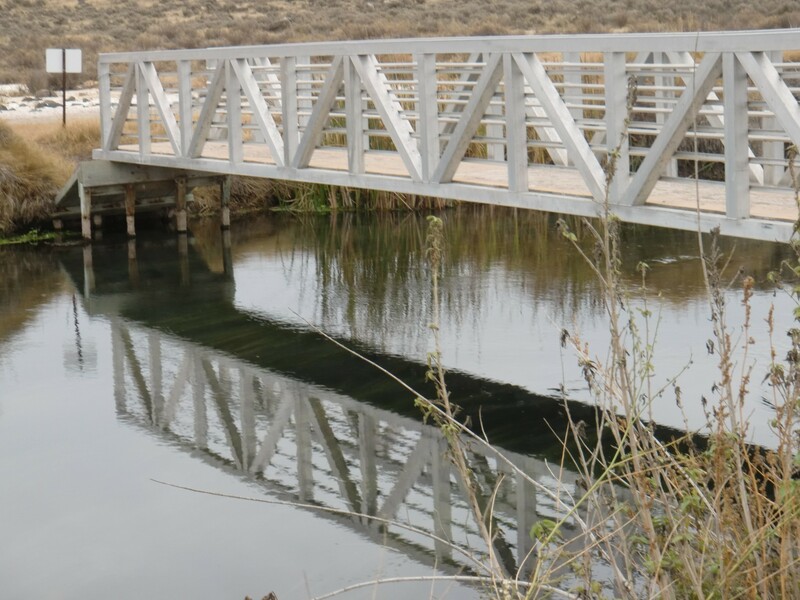 With safety being the most important factor, the project was certainly overdue and the replacement bridges have accomplished their purpose. 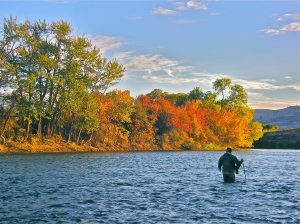 The fishing remains excellent at this popular venue, so don’t hesitate to take the trip over to Ephrata and get a close up look of the finished product. 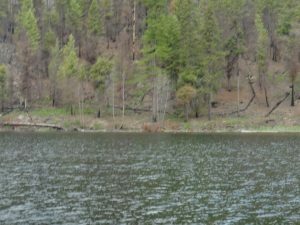 Long Lake, just south of Republic, was looking to be closed due to closure of Scatter Creek Road, but an alternate route has been readied and the campground is now open. 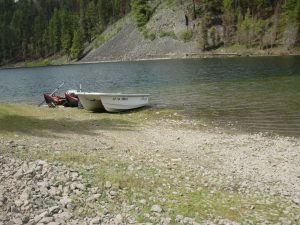 Although you will need to rely on back roads to get to the lake, the Republic Ranger District has indicated the Long Lake area is accessible and the campground is open. The route can be followed with forestry maps or on-line maps such as those supplied by Google. The alternate route starts just west of Republic using Old Swan Lake Road (217), but you should contact the Ranger District just to heading out for updates as this route may have modifications with further rains. This is a serious concern for all of us and the implications are far reaching. We should make an effort to educate ourselves in the proper treatment of our equipment and watercraft following exposure to these affected areas. We have included links to a number of sites offering information, including the complete article regarding Montana Governor Bullock’s executive order. Longtime IEFFC member Hugh Evans, who died March 15, will be buried at Arlington National Cemetery, in Arlington, Va., at 8:30 a.m. on Dec. 9 with full military honors. That evening, the Evans family will host a dinner from 6 p.m. to 9 p.m. at Clyde’s of Gallery Place, 707 7th Street Northwest, in Washington, D.C., to celebrate Hugh’s life. The restaurant is across the street from the National Portrait Gallery. A no-host bar will be available. Hugh, called by many members the best poacher the IEFFC ever had, was known for his unerring sense of humor, his captivating story telling, and his way of leaving club members wishing he would poach them again. 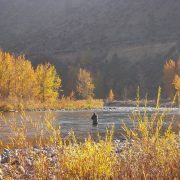 He was a fine fisherman, who particularly loved the Methow River. He provided unfailing good company to his fishing partners. 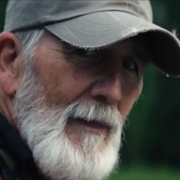 He loved fishing so much he often was the last to quit for the day, and on his best days, he introduced himself to many steelhead. Hugh was a successful attorney and a good litigator. He rarely talked about his military service, which like many things about Hugh, was extraordinary. Hugh, an attorney at Evans, Craven & Lackie for many years, was awarded the Silver Star for gallantry in action on Nov. 29, 1968, in Viet Nam when he continued to direct his men in a firefight with the Viet Cong even after he had been shot in the right arm–and for then helping to evacuate casualties out of the intensely contested area even after he was shot a second time that day, in the left shoulder. “Ignoring his injuries, he continued to supervise his elements’ fire and movement until the aggressors retreated,” his friend, Bill Maxey, wrote in the Spokane County Bar Association’s Calendar Call publication in 2014. 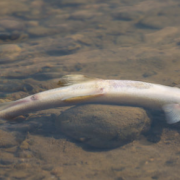 The upturned, bloated bodies of mountain whitefish litter the banks of the Yellowstone River at a spot typically thick with anglers and drift boats. 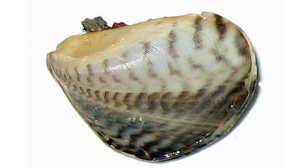 The native species is being killed by a parasite that affects their kidneys. So far it hasn’t been found inside Yellowstone National Park itself, and the river’s prized wild trout appear to be fighting it off. 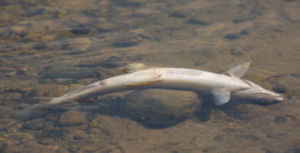 But Patrick Byorth with the conservation group Trout Unlimited says the fish killed downstream of the park still hits like a punch in the gut. 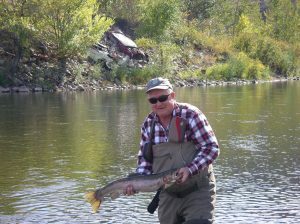 The magnitude of this kill is unlike anything our fish health specialists have seen before in Montana. Not only is fishing now forbidden. People aren’t even allowed to float on the river or enter it at all to prevent the parasite from spreading. 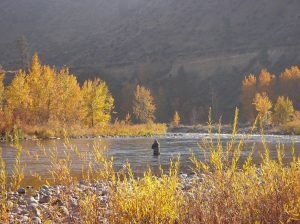 That means river guides in one of the world’s top fly fishing destinations are canceling reservations, and Byorth says tourists are going elsewhere. Specialists are scrambling to get a good assessment of how far the parasite has spread, whether it’s affecting the Yellowstone’s hundreds of miles of tributaries and to sequence the genome of the parasite, which will help them understand exactly what they’re up against. 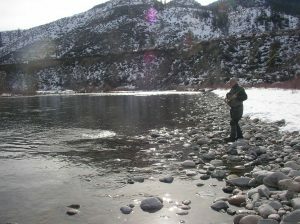 Biologists expect the outbreak will die down when the water temperature in the Yellowstone River drops next month, but they say it may take until next spring when the river level rises with spring runoff before things get closer to being normal again. At this point, they’re not making any firm predictions. 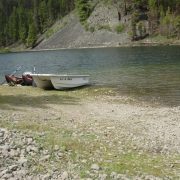 After last years devastating fire, there was concern that the fishing at Long Lake, near Republic, might be affected. It looks as though prospects for this year have improved quickly. I visited Long Lake today and the campground is open and looks very much like it always has. 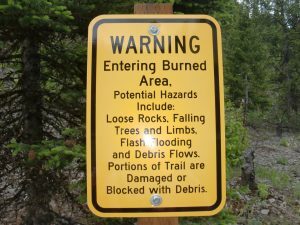 There is some fire damage in the campground and around the lake, but the affect is somewhat minor. The campground was also filling up throughout the day. They have removed the garbage containers, so if you go make sure you are prepared to pack your garbage out with you when you leave. 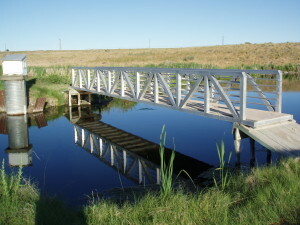 They also have signs indicating that the trail around the lake is closed. 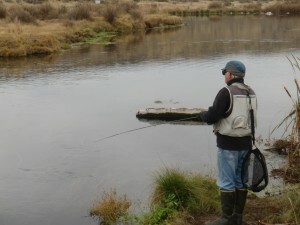 The fishing…well let’s say the fishing is good. I tracked a lot of fish on my finder and I caught a fair number. I have to say it seemed like I caught more of the bigger fish, although the largest fish would not be considered a monster, (about 15 inches). 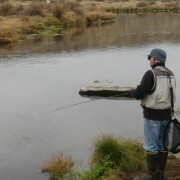 I only lost one fish to the loons and I was lucky he didn’t get it first try, because it was still attached to my fly. In my judgement the three hour trip to Long Lake is certainly worth the drive. 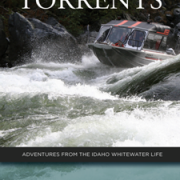 I wanted to let you know that my husband, Richard Ripley, will be reading from and signing copies of his new book “Against the Torrents, Adventures From the Idaho Whitewater Life,” on June 1 at 7 p.m. at Auntie’s bookstore downtown. His book is about the life of Darell Bentz, a jet boat pioneer and one of Rick’s college roommates, and his brother, Rusty. 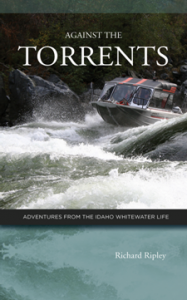 They ran many of the world’s toughest whitewater rivers first or second, ran rivers in South America, India, Canada, Alaska, and the United States, grew up on a real Idaho cattle ranch in the Salmon River country, hunted and fished a lot, and were the great grandsons of John Crooks, the first man to bring cattle to Idaho County and the donor of the town site land for Grangeville, Idaho, for which he also laid out the streets. The Nez Perce War started on land that was either on or right next to what became the Bentz Ranch, and Thomas Meyers was lynched some years later on the ranch in one of Idaho’s most notorious unsolved killings. During his career, Darell pioneered whitewater hull design for jet boats, delivered boats on the Pacific and Arctic oceans, and along with Rusty navigated much farther up the Skeena River than anyone else ever has. This is a free event and there will be snacks. I think it will be a fun evening and would love to have you all there. 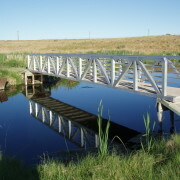 Earlier this year the Washington State Council of the International Federation of Fly Fishers (WSCIFFF) asked fly fishers and fly fishing clubs from around Washington State to write to their legislators for support in budgeting money for the Washington Department of Fish and Wildlife (WDFW) to repair or replace the lower foot bridge on Rocky Ford Creek that has been determined to be unsafe. Most fly fishers in our state have fished Rocky Ford at some time, especially in the winter when there aren’t many other places to go. 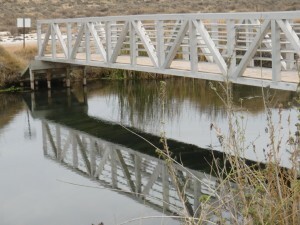 The lower bridge is critical to accessing some of the best fishing. During the 2015 legislative session the Washington State Legislature passed funding that included money to repair or replace the bridge. 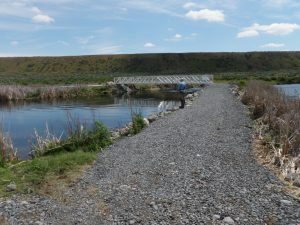 There was considerable sticker shock generated by the $300,000 budgeted for the project by the Washington State Fish and Wildlife Department. 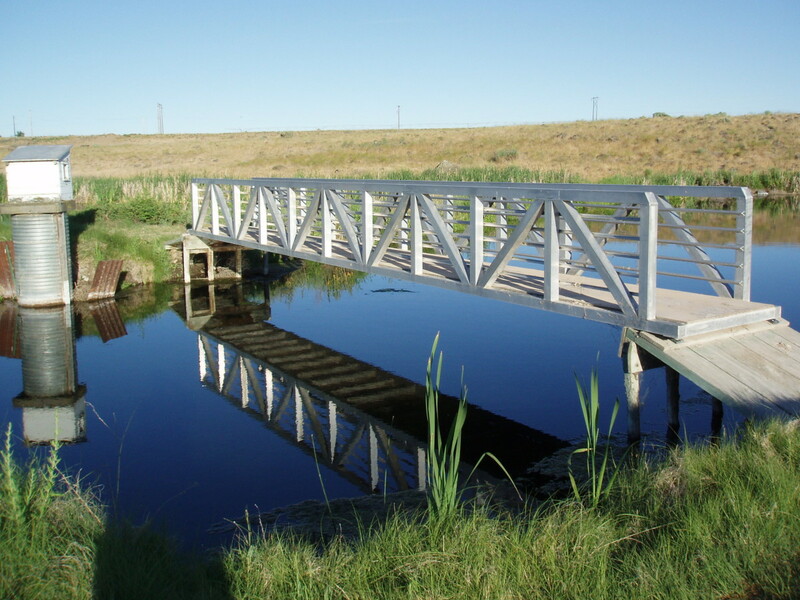 A major element of the projected cost was to accommodate dramatically increased flows caused by major changes in the Columbia Basin irrigation system. The increased flow is now a reality. 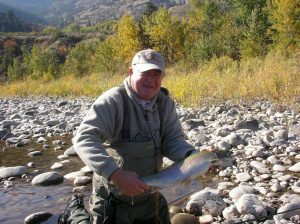 IEFFC member Bob Anderson stopped by Rocky Ford a few days ago and was shocked by what he saw. 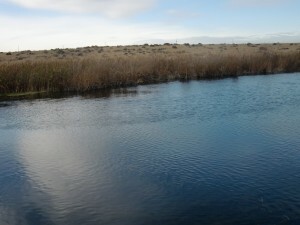 Bob said that the increased flow has caused big changes making long-time access spots unusable. As Bob said, “we will have to learn how to fish Rocky Ford all over again”.